You really can't miss China this June, in both Paris and many other regions of France. The scenario is relatively simple; the mechanism runs faultlessly. The appetite of Chinese buyers and the often stratospheric prices that ensue encourages the emergence of first-class pieces from private collections – which Asian customers adore, as we know, because they are historical and thus authentic. So we shall be keeping a close watch on various sales, which include an imperial seal belonging to the celebrated Qianlong emperor, an underglaze blue and red ceramic vase, and paintings by the Chinese masters of abstraction Zao Wou-ki and Chu Teh-chun. As the seasons go by, France, already an important destination for luxury and culture, is increasingly a place for Asian buyers to link up with their history. 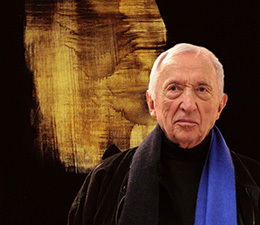 Pierre Soulages, master of abstraction, now has a temple in his honour. The Musée Soulages opened its doors on 31 May. Rodez pays homage to its child through a place reminiscent of him, evoking his work, his techniques and much more. Guided visit. China dominates this June, which is a particularly rich month, with paintings by Zao Wou-ki and Chu The-chun, a Qianlong seal and an imperial robe… A programme completed by 20th century decorative arts and 18th century French furniture! Archaeology on the Paris scene has seen remarkable bids, a bust of Hadrian selling for over €1M, as has work by legendary figures of design, with a new world record reached for Jean Prouvé. 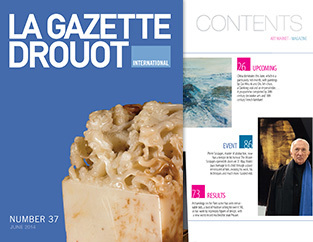 The president of the Musée d’Orsay and Musée de l’Orangerie in Paris, Guy Cogeval tells his story and his track record. The Parisian museum, temple of the 19th century, was frequented by 3.6 million visitors. A remarkable gift for Versailles: Louis XV's Choisy commode. On 20 February, a piece of royal furniture – and an impressive one at that – took up residence in the Mesdames apartments. French film director Éric Barbier has revived the heist film. Here, the object of desire is the “Florentine”, a jewel steeped in blood… With Bérénice Bejo and Yvan Attal in the lead roles.